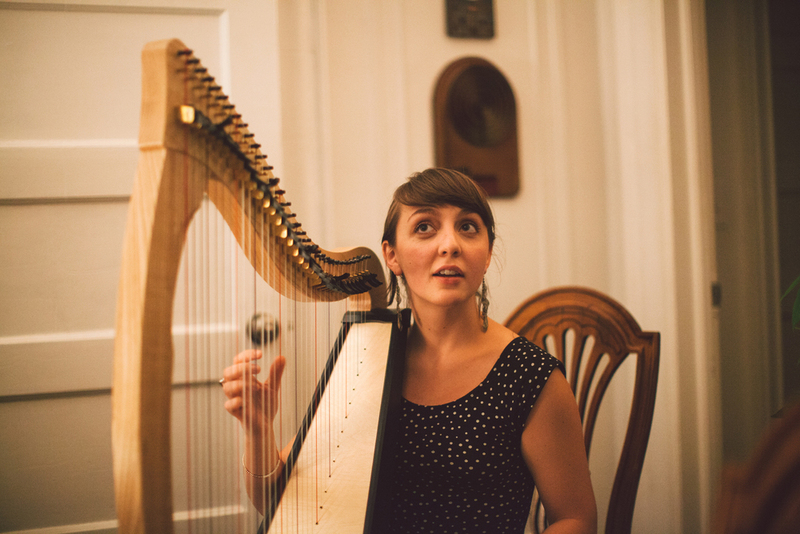 The NMDQ Artist Workshop Dinners are an invite-only monthly discussion series that began in Borough Park, Brooklyn in December 2012. Its mission is to support artists by providing a space for constructive feedback from a respectful, informed audience of diverse creative backgrounds. 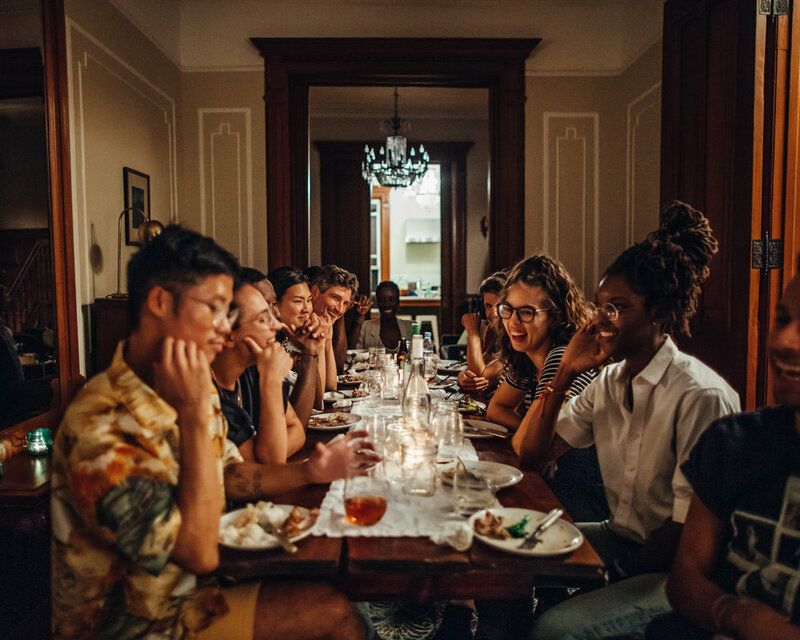 Our dinners encourage a comfortable and intimate setting for new connections to be made, inspiring collaborations and broadening an interdisciplinary network across New York City. 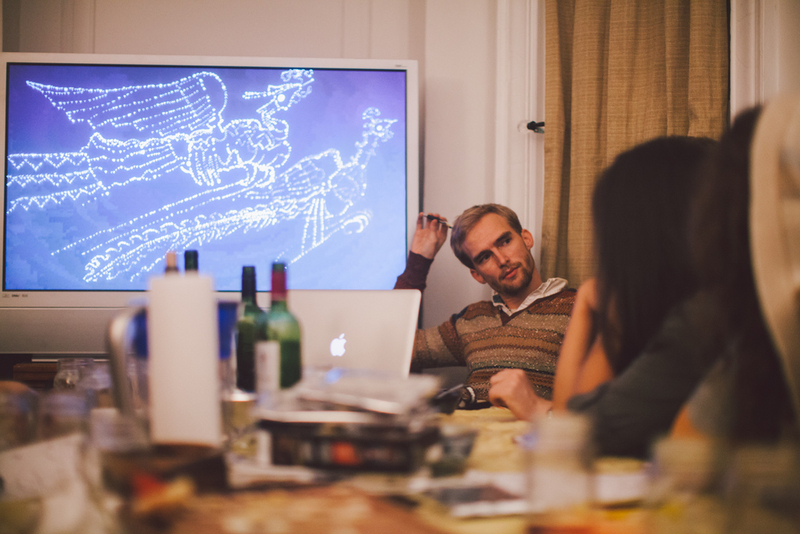 One to two Artist Talks are shared monthly over a home cooked meal in Bedford-Stuyvesant, Brooklyn. All mediums are welcome and RSVP is required as space is extremely limited. Projects workshopped in this series have gone on to be featured in National Geographic, The New York Times, This American Life, SXSW, The Berlin Film Festival, the GLAAD awards, Billboard and NPR. Our network to date consists of musicians, photographers, filmmakers, writers, illustrators, social activists and educators. For more information contact info@nomadique.com.